PROPERTY OVERVIEW >> $1565pw -- Price incl. 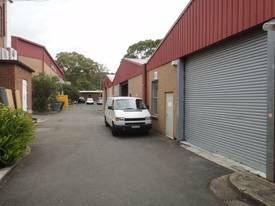 Shared office space for rent in the financial core of Sydney CBD. If you’re looking to rent a coworking space in Sydney’s finance district that offers a little more inspiration, look no further – this shared office hits the sweet spot between corporate and creativity by incorporating a gorgeously uplifting design throughout its premium A Grade facilities. The smart meeting room features top-of-the-range furniture, a TV for presentations and full-height glass doors – invite clients in, hold meetings for free and show off your beautiful new workspace! The large private terrace is the perfect place to get some fresh air and enjoy a wonderful outlook with glimpses of Sydney Harbour while the spacious kitchen and relaxing lounge area will help your team recalibrate, refuel and connect with the friendly fun-loving team that already works here. 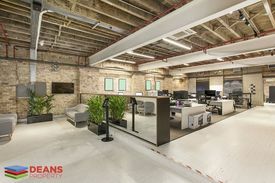 Throughout the space, high ceilings encourage great natural daylight, green plants help boost inspiration and the large coworking desks come with business grade internet – everything is set up so you can get back to work fast. On top of that you won’t need to worry about organising or paying for cleaning, utilities or body corp as it’s all factored into the advertised rate. With up to seven desks available for rent on flexible terms, this premium shared office space in Sydney CBD could be an amazing swing space or long-term rental for any small business. The Exchange Centre at 20 Bridge Street in Sydney CBD is first choice for many finance, legal and technology companies thanks to the building’s superior technical specifications including 100% full backup power. Alongside the building’s lead tenant ASX Group, you’ll enjoy excellent onsite security services, advanced data capabilities, ample onsite parking, bike storage and end-of-trip facilities. The 16 level tower was built in 1999 and, having achieved a 4.0 Star NABERS Energy Rating, it’ll align well with businesses that prioritise sustainability. 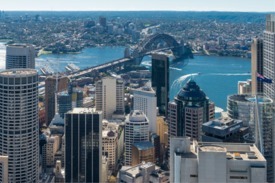 Moreover, the location is nothing short of ideal – this office space places you in an exclusive Sydney CBD precinct among top tier finance and technology firms and also offers an amazing lifestyle – Sydney’s most famous landmarks are just a short wander away and the area is filled with five star hotels, top restaurants, great cafes and more. A great opportunity to work amongst a lovely group of people whilst having access to a number of excellent amenities that enhance balance and productivity. Executive Suites with stu.. Price: Book a tour today | Price..